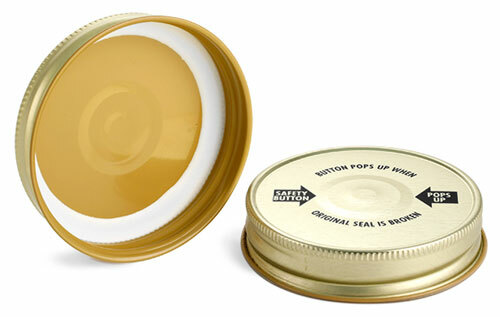 These gold metal plastisol lined caps are printed with the message "Button Pops up when Original Seal is Broken" with arrows indicating the safety button. The metal caps are typically used on glass containers. To create a vacuum seal, the container, closure, and product must be heated to recommended temperatures, softening the liner inside the metal caps. 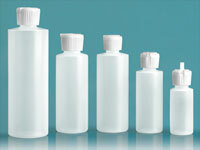 As the product cools, the liner solidifies and creates an airtight seal with the container. The tamper evident button will pop up after the vacuum seal has been broken. As always, be sure to test containers with these metal caps for proper compatibility.